Since we’re all about watch straps here, its probably a good idea to know what “Italian Leather” is. Kind of like knowing what “Swiss Made” is when you are buying a Swiss Watch. Of course, any term that attempts to add value to a product tends to be exploited – stuff like “surgical steel” is now no more an indicator of quality than it is a glorified word for “stainless steel”. Now, back to Italian Leather. What is it exactly? Well, in short, it refers to leather that is tanned in Italy. 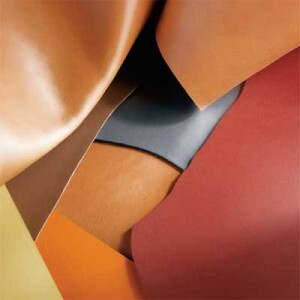 Italy has some of the best and most experienced tanneries in the world, with 15% of the world’s entire Leather Output. While it means that the leather is tanned in Italy, it does not mean that the cows that produced the leathers were raised in Italy. Much of the leather that is tanned in Italy is farmed in surrounding areas such as Sweden. Part of the reason that so many Tanneries ended up in Italy is because between 1911-1956, polution from tanneries was a problem causing many countries to shut down their leather tanneries. In the end, while there are great tanneries in Italy, there is nothing really extra-special about their leathers. Generally speaking you are more assured of a better leather from Italy than you are of a leather from say China, but both countries are capable of producing extremely high quality leather. This entry was posted in Strap Information Articles. Bookmark the permalink. Post a comment or leave a trackback: Trackback URL. And Boeing airplanes is made in Washington and surrounding areas, such as Venezuela..
Italian Leather? Why, of course, that is leather made from Italians; I always knew that, though I’m not exactly certain of which part(s) of the Italian are used. I think it depends on which cut. If its Shell, its from the buttcheek.